SMART Event Marketing provides full service online marketing and promotional activity appropriate for your domain, always with positive ROI. Promoting your company through Google Adwords or Facebook Ads pose effective way of promoting online and gain relevant traffic to the site. Facebook Ads and Google advertising Adswords is an opportunity to gain new customers, build a good reputation for business and brand online. Through campaigns on Facebook Ads and Google Adswords we address people directly interested in the information, activities, services or products offered, even when using their preferred social channel, Facebook. Social media, communication and continuous interaction with the target audience are very important to the big picture of the business, brand awareness, gaining authority in a field and achieve marketing objectives. In addition, the sustained activity and relevance of social media can help indirectly to obtain results site in organic searches on Google. Social media allows humanization of brand experience and direct communication with customers.We can say that social media is the new PR of local businesses. SMART Event Marketing specialists, will help obtinii through campaigns: • increasing audience of business Facebook page (Facebook page likes); • promoting posts on Facebook business page (Facebook post likes & shares); • Increase traffic to websites with provenance Facebook page; • tendering Facebook Ads advertising campaigns source; • Online orders Facebook Ads advertising campaigns source; • increasing the number of views for videos, app downloads etc. Google Adwords & Display Advertising. Promoting the site through Google AdWords campaign is the most popular and effective way to increase website traffic online. Among the types of campaigns promoting the site on Google: Google AdWords Search, AdWords Dynamic Search Ads, Google AdWords Display, Youtube and Google AdWords Google AdWords Remarketing. Search Google AdWords advertising, site promotion on Google Pay per click (PPC) is a quick way for online advertising, targeted advertising and effective website that will be displayed in Google search results based on keywords. Promoting Google AdWords Display (GDN), promoting the site through text messages, promotion through online banners and / or video will appear on partner sites Google sites chosen for relevance to the target site promoted so: contextual (keywords, sites, topics web pages) and by targeted internet users (interest, gender, age, remarketing). Youtube Google AdWords campaigns, website promotion through text messages, banners and videos that appear on YouTube. Promotional ads are targeted based on content or users and targeted page or directly to Youtube site. Google AdWords Remarketing campaigns. Promoting online with AdWords Remarketing can be particularly effective. 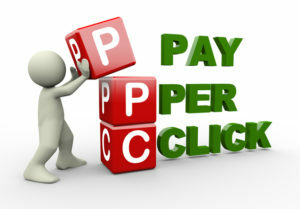 With this type of AdWords campaign again reach users who have viewed the site in the past and therefore are already interested in your offer You have the chance to remind website visitors while they browse websites prefeate internet, about their interest in the product, service or company by creating ads.